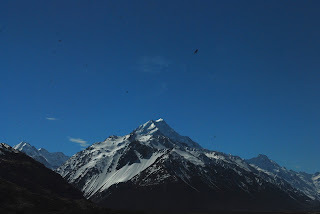 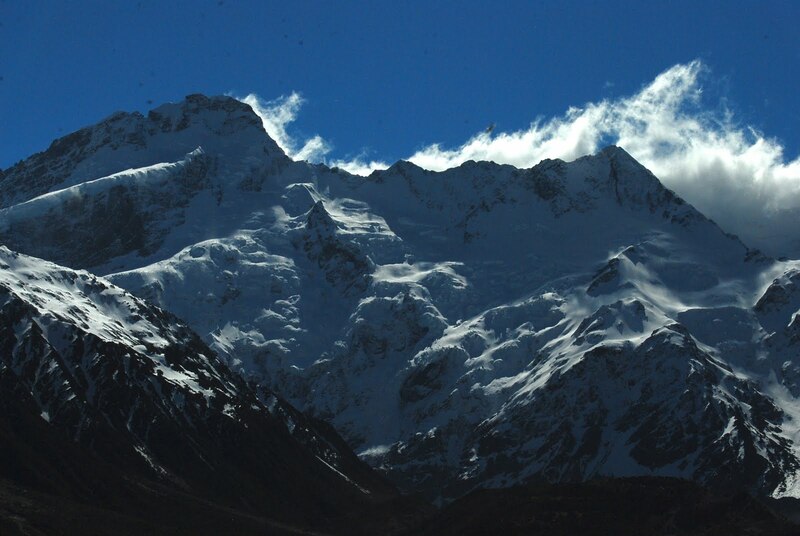 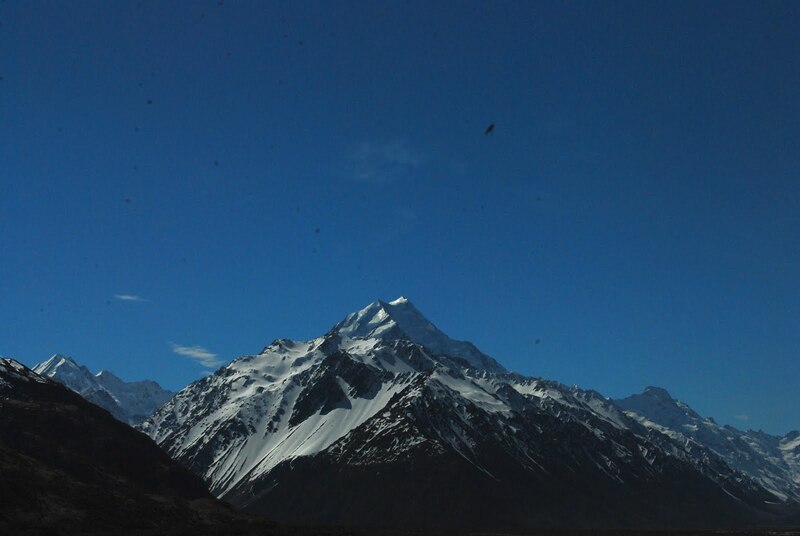 Auraki – Mt Cook is the highest peak in New Zealand, rising 3,724 meters – or 12,316 feet above sea level. 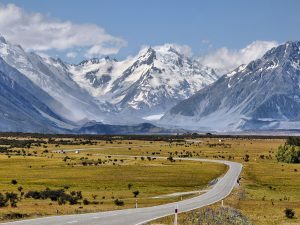 There is a long road that rises gradually into the foothills of the mountain. 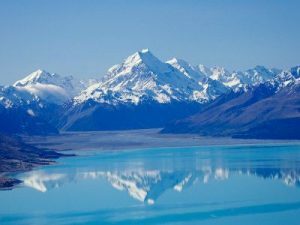 There are high mountain lakes in the area, including one that gives a beautiful reflection of this majestic peak. 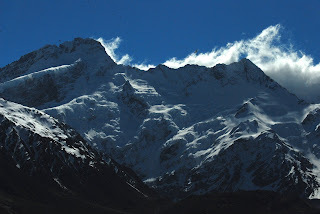 We found hiking and biking trails to explore, and even got in some skiing on the last (extended) day of the ski season.